Contrary to some people’s belief that file servers are performing computation and are the same with a database, it’s not. Digitally, file servers are very essential to all people. In Singapore, it is commonly used by many businesses to improve their market and file servers are one of their business strategy. 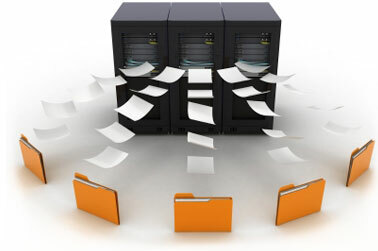 File servers are devices that enable users to store important files through the use of a network that is attached into the computer. Also, it can share files and let’s other people view or access files that are being share in the storage. The main purpose of a file server is to store files. Many business firms in Singapore are using these file servers to increase their sales and increase the effectiveness of their overall computing. 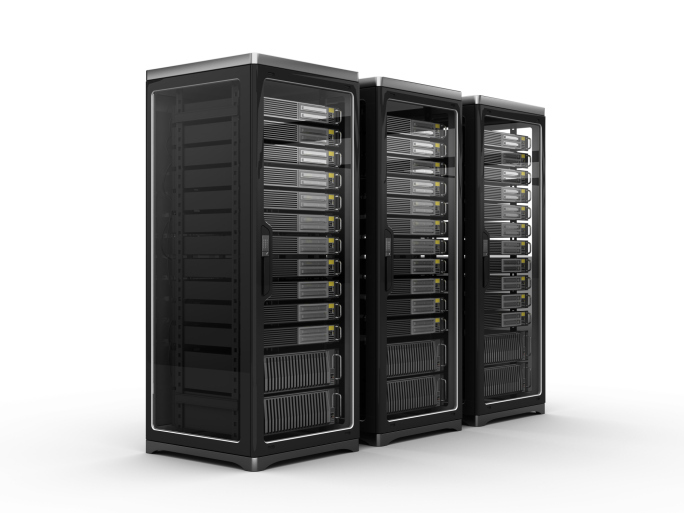 Why Use a File Server? For instance, you place all your files in one location; you don’t have to worry on your files because you have an assurance that it is places in one folder wherein it is secured and you know that it is a safe place wherein it can be accessed and retrieve when you files were lost and corrupted by viruses. File servers can also lessen the expenses of a company by purchasing so many hard drives just to keep and secure important files. Also, it can store as much as a hard drive can do. So, instead of lending your flash drives just to share your photos, or perhaps mail a DVD containing videos to your in-laws which are time and money consuming, or just bring bulky hard drive with you so that you carry your files wherever you go, why not use a file server from Singapore. It is simple to use, it cannot be stolen of lost just like hard drives, it is fast unlike mailing a DVD and it is more secured than a flash drive. In addition, a file server is very affordable. And since the main function of file servers’ to keep and secure significant files, things to consider in creating a file server is the storage space that you will need. What File Server Suits You? Will you need 50 terabyte for your important files which includes files from work? Or will you need a 20 terabyte for videos, photos and music? It depends, especially when a company has a large number of employees. Another thing to consider is the network administration. Once you have a file server, your files are shared in one network making it accessible to all. In Singapore, network administrators usually secure the sensitive files in the company and separate it in another network so that it cannot be accessed by many people and also to protect some important records such as financial records. Be prepared for any kinds of problems that your network may encounter. Putting all your files in one place will be very risky because you can’t prevent when the viruses will attack to your files. However, you can still counter it using anti-virus software. Since file servers will protect documents and other data in the computer, you still need to consider on how consistent it is to secure files for a long time. PR (Permanent Resident) is a status in Singapore where you can obtain many rights and benefits entitled only to full citizens. Every year, there are thousands of foreigners applying for this status. An application for permanent residency will take you about 3-6 months to process. Right to Abode. You and your family are allowed to reside in Singapore without being restricted by visa. You can now travel freely in and out of the country. You are fully entitled to own a home in the country, although you are still not allowed to buy second hand units or HDB flats. Similar Status to the Family. 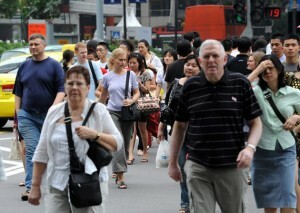 You can bring your family with you in Singapore. Your husband/wife and children below 21 will enjoy the same status like yours. But for your immigrant parents, they will only enjoy long stay visas. Schools. Your children are given the chance to enrol in any state sponsored schools of your choice. Switch Jobs Easily. 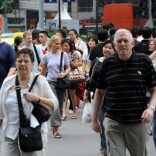 Switching jobs are not easy in Singapore because you need to re-apply for a permit to work. If you are a PR, you can switch jobs easily without thinking of re-applications. Member of the Central Provident Fund. PRs who have jobs are compelled to become a member of the Central Provident Fund. CPF requires you and your employer to contribute an amount each month for your pension. Of course PR status entails some obligations too. The government requires your son(s) to enlist or register in the national service once they reach 16 years of age. They are required to serve until they are 18. Each year, they should enter compulsory national service. We all have a dream house. The ideas inspire us to do well and look forward to the future positively. When we have enough money, we are enthusiastic to build it. If we don’t have enough, we can always do more to make it happen. However, in reality, there are many people that will settle for second best because no matter how hard they try, they can’t seem to reach that dream house. If we are in this situation, we need to accept things and make adjustments but this does not mean that it is worse. We can still have a house close to our dream house if we know what to do. 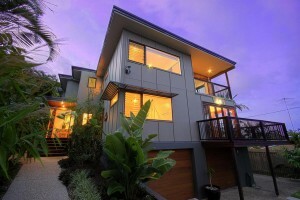 It is not advisable to deplete all our money when we are constructing our house. We should think of the range we are willing to spend but never overdo it. It is important to leave something for future or emergency use. If we can find a financing company that will loan us some money, we should discuss the payment scheme. We can also consider mortgage. We should look for a place conducive for our child’s development. There are many communities that we can think about. Once we are decided, we should pay for it immediately. After securing the lot, we should set off to look for the right design. This is not that hard since we can find many if we look through books and the internet. The next crucial thing to do is finding the right people. Let’s not entrust everything to them, sometimes it is helpful if we participate in the process. We should look for contractors and builders. Let’s examine the contract first and if everything is favourable, we should proceed with the work right away. Singapore Wedding live band helps set the mood of a wedding reception. It holds the guests even after dinner and it helps keep the party going. So whether you’re after for a quartet or a 3-piece band, you should keep these tips in mind to find the best Singapore wedding live band for your most special day. The first thing to look for when hiring a live band for the wedding live music is the ability of the band to set the kind of mood you want for the event and the style that matches your personality. You should also consider whether you would like the formal and sophisticated type of band or a versatile band like white ribbon live band in singapore that will interact with the audience by initiating games and allowing guests performances. It is also advisable to pick the band that you are comfortable with, since you will be working with them for the whole wedding preparation and during the wedding proper. Every Singapore wedding detail should be scrutinized to achieve smooth-flowing wedding program. If you think you can’t handle the whole wedding planning alone, it would be best to hire a professional wedding coordinator. The wedding coordinator will be the one to communicate with the band and make sure that everything will run smoothly. If you will be planning on your own, ask for tips from professional wedding musicians to make the event more enjoyable and fun. Also, wedding live bands like white ribbon usually arrive earlier than the guests to setup their instruments. It would be nice to serve something for them to eat to make sure that they won’t get hungry in the middle of performances. 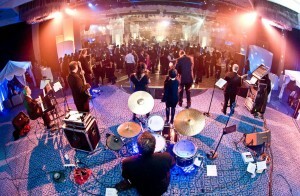 One of the most preferred live band by couples are bands that can play wide range of music. The primary purpose of an event entertainment is to let the guests feel that they are part of the celebration. 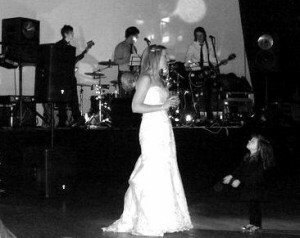 Find a wedding live music that plays a little of every kind of music that your guests will surely enjoy. When hunting for a live band for your wedding reception, make sure to check the band’s credentials. Search online and check out some of their past clients reviews to know whether they are a good pick or not. It is best to hire bands from wedding live band Singapore agencies to ensure that you will get one of the top quality bands in the country. If you found your pick from the lists of bands form a wedding live band Singapore agency, double check their credibility by asking for references. If you want to see and hear how your chosen band which could be white ribbon live band sounds like, it’s best to witness one of their rehearsals and not by attending to one of their private event. The people in the event may find the band unprofessional for allowing uninvited guests to be in their personal occasion. If you were not able to witness the band playing, have a meeting with the band leader since he will be the primary host and will be the one to set the tone of the event. Talk to him casually and observe his behaviour and personality towards your questions and inquiries. When planning for a wedding proposal, it is the engagement ring that a man usually plans for. But, because it has to sit together with the wedding ring on the woman’s finger, you also have to plan how the wedding bands would look like to match the proposal ring. So, to be sure that the rings would look great together, buy a well-matched engagement and wedding band set. A matching engagement ring and bands are very ideal because they symbolize the couple, reflecting each other’s personality with a touch of uniqueness. 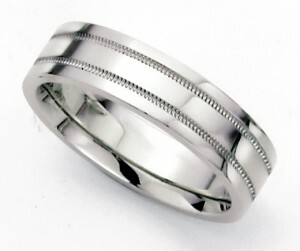 Oftentimes, the Singapore wedding bands are in classic style with added special pattern or texture to look like a set. Sometimes, the woman’s engagement and wedding ring are crafted together so the rings would intertwine perfectly. In these instances, the rings will be styled with interlocking twists or loops. The twists and loops will ensure that the rings will sit together, making them appear as one. But before you go cherry picking for the right wedding band set, keep in mind these common mistakes first. 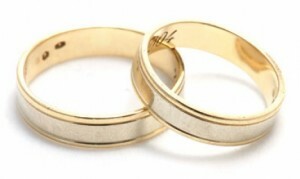 When the woman’s rings are designed together, to complement each other, they may look strange when worn alone. This is not much of a problem during the engagement stage since the engagement ring singapore would still look attractive even without the wedding band. But if your future spouse would want to wear the wedding ring alone, she might not want to have one with a cut-away design that looks odd without the engagement ring from Singapore. A third ring won’t sit securely together with looped out or twisted style bridal rings. So if you’re thinking of buying her another ring in the future, or if her mother wants her to keep an heirloom piece, she might have a hard time in wearing the pieces together since the third ring wasn’t designed to go with the other two rings. The most important thing about the choosing the engagement piece is the cut of the gemstone. Do not be carried away with your aspiration to get a matching ring set. There are some diamond cuts with fewer ring set choices, like the unique marquise, heart and pear shape. Do not buy something that you think she won’t like just because you want to match the engagement and wedding bands. And if you really want to make your lady happy, add a personal touch on the ring by adding engraved texts to show how much you really care for her. 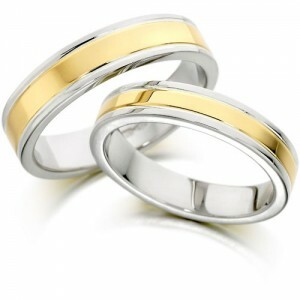 Engraved rings are the ideal rings today by couples in Singapore. That’s why Singapore-based jewellery shops are well-skilled when it comes to ring engraving. Plus, they offer matching engagement and wedding ring sets in various unique designs that you and your significant other will surely love. At first glance, all accounting software appears pretty much the same. All of them offer functions like billing, accounts payable, accounts receivable, general ledger, and a number of other standard accounting functionalities. However, beyond those fundamental features lie dozens of other components and services. Many of these features are considered vital for the growth of Singapore companies, while some are just nothing but marketing gimmicks. So, how will you know you’re getting the best accounting package? What should your software do for the betterment of the company? For many business establishments in Singapore, support for basic financial management and accounting transactions alone in their accounting software Singapore isn’t enough anymore. Many companies, especially the large ones, require automated employee payrolls, expenses, and time sheets; departmental and company budgets, and other financial activities to keep pace to the growing demands of the business. 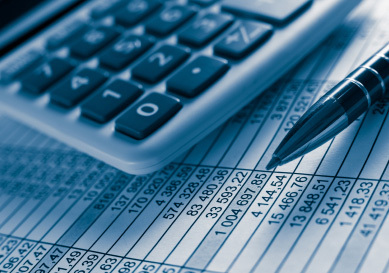 Accounting software adds security to the company’s financial information. You can set passwords to control the privacy of accounts. You can also let users set their own passwords to gain access to specific accounting areas. By using accounting software, you’re assured that files are protected from unauthorized intruders. The truth is, no accounting software will perfectly fit to your Singapore company’s needs. However, through customization, you can personalize everything in the software – from formats, reports, and statements to spread sheets, help systems, and user interface. Look for software that lets you set things according to your needs. Internet has become a staple requirement in big and small businesses, and it’s only reasonable that Singapore accounting software should also adapt to this trend. Go for the software that lets you handle electronic fund transfers, and send and receive text-based and multimedia documents. This function allows any business owner to view all the transactions done by his employees. It gives the owner a bird’s eye view of his business. Report functions of accounting software are usually customizable and can either be detailed or summarized, depending on the user’s preference. Furthermore, accounting reports keep you reminded of the payments you have to make, like what you owe to other company in Singapore or how much you would have to pay for the tax. 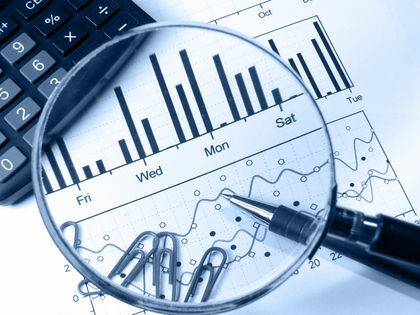 Accounting software also has the key function and ability to analyse your business’ monetary status. With the organized information from your software, you can analyse profitability rate of a product, prepare annual budgets, plan for growth, study every expense made, and make adjustments without the hassle of going through every file and folder just to gather the statistics needed for the tasks. In the years to come, your business will grow and become more prosperous. Do you think your software key functions would be able to keep up with the loads of tasks your growing company demands? Look for a accounting software Singapore program that can be upgraded easily and can accommodate larger number of financial transactions and progressively growing number of users. Ask vendors and understand the software’s scalability for you to be aware whatever your business has to bring in the future.